These tops depict a bird with its eggs in a nest. The eggs are red and white, which are traditionally lucky colors. 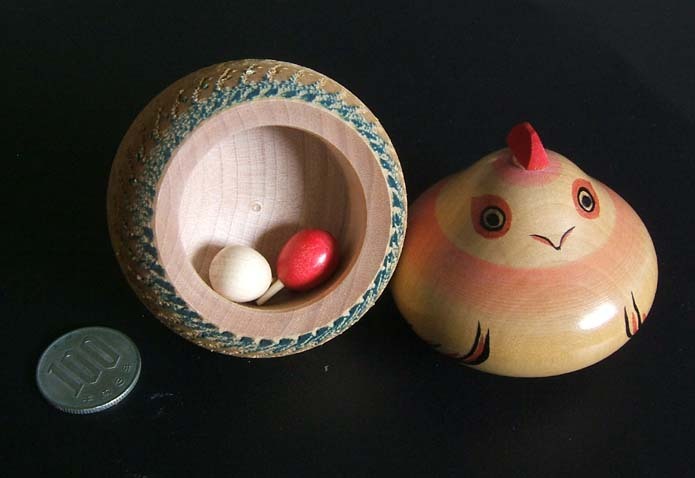 The bird is a type of top called an “unkind” ijiwaru 意地悪 top, because it is especially difficult to spin.